The Rudolph J157HA offers High Accuracy of RI ±0.00002, BRIX ±0.01 with a measurement range of RI 1.32 – 1.53, BRIX 0 – 100 making the J157HA an excellent choice for quality control of food and beverage products. J157WR ideal for the Chemical Industry. With a measurement range of RI 1.29 – 1.66 and BRIX 0 – 100 the Rudolph J157WR offer the versatility needed for Chemical plants where the chemicals are primarily non-water based. The J157WR offers accuracy of ±0.0001 RI and ±0.1 BRIX which is in excess of the accuracy required in most Chemical Plants. A Biotechnology and Bioengineering refractometer designed specifically for measuring materials in the Optical Waveguide Lightmode Spectroscopy (OWLS) system thus capable of measuring the effective refractive index of a thin layer above an Si(Ti)O2 waveguide surface. The Digital J157-633 has all of the same features as the standard J157 automatic refractometer but operates at 633nm instead of the standard 589nm. The J157-633 is part of the Rudolph Research Refractometer Product Line and shares many of the same features as our other refractometers. If you like or your application require some of the features of our higher end models you may add the J157 Plus option to either the HA or WR models. The Plus option adds the Smart Measure™ and Trend Analysis features that aid you in loading samples quickly and accurately. Rather than just choosing from the ever expanding range of custom scales provided by Rudolph the plus option lets users make their own. Simply measure 2 or more known points and the J157 plus has the ability to do the rest. The temperature Control range is expanded to 10-85ºC and the Rudolph CC Temperature Sample Cover is added making the J157HA or J157WR an even more versatile refractometer. Operating the J157 is as simple as placing a sample on the prism, closing the cover and reading the answer – all in just a few seconds. There are no shadow lines to match and there is no eyepiece requiring any type of operator determination or manual adjustment as necessary with ABBE type refractometers. When the “measure when stable mode” is selected, the J157 automatically waits until the sample has been electronically heated or cooled to a predefined temperature before initiating a measurement. Unlike other temperature controlled refractometers, the J157 has electronic temperature control from both above and below the sample. The sample cover is controlled to the same temperature as the prism and, when lowered, is designed to provide a temperature controlled micro-environment that provides unrivaled temperature stability, fast measurement time and minimal evaporation. Depending on options, the sample cover can also be used to initiate an automatic measurement. The J157 digital refractometer is available with an optional Temperature Controlled Sample Presser that touches the sample. Compared with the standard temperature controlled cover, the optional presser reduces the empty volume of the measurement area thereby greatly reducing evaporation and at the same time helping to evenly spread many types of materials including semi solids, and pastes over the measurement prism. 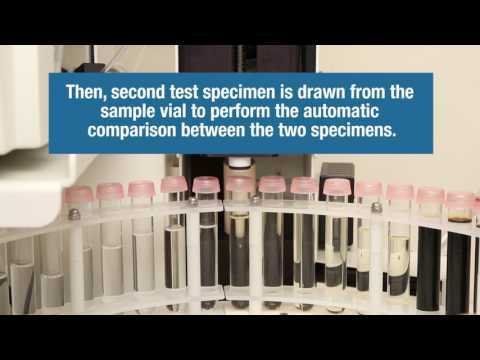 This feature offers improved measurement performance on many samples. The Rudolph Auto Measure Option allows the closing and opening of the presser to start and end a measurement. The operator just closes the cover to start measuring and lifts the cover to stop measuring. The closing and lifting of the lid functions as the start/stop in the measurement process without ever touching the measure button. No matter how great the refractometer is, accurate results will only be obtained if the prism is clean. All Rudolph J Series refractometers offer a flat, easy to clean prism that makes the cleaning process between measurements simple, even with sticky samples. The J157 digital refractometer can be supplied with a large range of standard and customized scales. Scales can be customized in a few minutes. Simply enter 2, 6 or 10 points of concentration vs. corresponding RI data, and the instrument calculates the custom scale automatically. The J157 offers 1 point, 2 point or a full multi-point calibration. Calibration can be done at 20°C, 25°C or any user selectable temperature within the available range. Regardless of how many times the refractometer has been calibrated, it can always be restored to the initial factory calibration if required. Versatile laboratory instruments have the advantage of being able to display significant amounts of information, however this versatility can also lead to confusion, with extra buttons and by forcing operators to interpret extra results that have no relevance to their application. 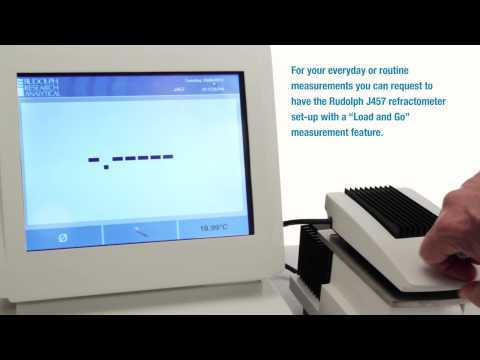 The Rudolph J Series customizable display allows the refractometer to be configured to exactly what is required for each application. The customizable digital keypad can be “locked out” or just a few keys can be operable, i.e. the measure key, print key, zero key, customer specified sample keys or any combination thereof. The lockout function, calibration and other functions are all password protected. The J series refractometers offer a sapphire prism for high mechanical and chemical durability. The sample well is made of acid resistant 316 stainless steel with a Techtron sealing ring. There is no lamp to change, the LED light source is guaranteed for 1,000,000 measurements. Rudolph allows the lab manager to select from different display options because we understand laboratories and manufacturing floors have different needs when it comes to the information required for monitoring a process. Your instrument’s interface can be customized to meet the information your application and environment demand whether you choose our full featured interface or our Load-and-Go™ display interface. The J157 Series offer laboratory flexibility with industrial strength and simplicity making this model series at home on the laboratory bench or on the factory floor. In a modern factory, the most precious commodity is time. When a process starts to move outside its limits people want to know FAST. They want to correct the problem, preferably while it’s still small and before a product goes out of specification. The Rudolph live reading and Trend Analysis™ feature allows users to easily and quickly see how a process is going and catch minor deviations before they become major ones. Even in the most tightly controlled manufacturing environments, things do occasionally go out of specification. When an out of specification condition happens, material has to be quickly identified and decisions made as to what to do with the product. Long term data collection is a part of any good process. Knowing when and where the out of specification condition happened is equally as important. Rudolph Trend Analysis™ software quickly shows a supervisor the process history and where the problem occurred. Operating the J157 can be as simple as placing a sample on the prism, closing the presser and reading the answer – all in just a few seconds. The entire keypad can be “locked out” or just a few keys can be operable, i.e. the measure key, print key, zero key, customer specified sample keys or any combination thereof. The lockout function, like calibration and other functions are all password protected. Calibration liquids from 1.33 – 1.70 (available with 4 decimal & 5 decimal accuracy). Continuous Flow and Pour-ln Style Pressers allow samples to be continuously monitored or poured directly from a beaker. The J157 standard presser is easily removable with a captured hinge pin and replaced with a Pour-In presser as shown at right or a Continuous Flow presser with an inlet and outlet port. In all cases, volume required for measurement is less than 5ml. Please contact the factory or use our Information Request Form for more details. L: 17 1/4" W: 12" H: 13" / 23 lbs. L: 27" W: 21" H: 17" / 30 lbs.